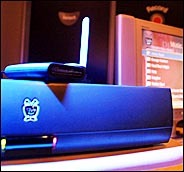 Joshua: AOL going after Tivo? Interesting article in the NY Times about AOL / Time Warner trying to compete with Tivo. Like anyone wants to deal with them for support calls.